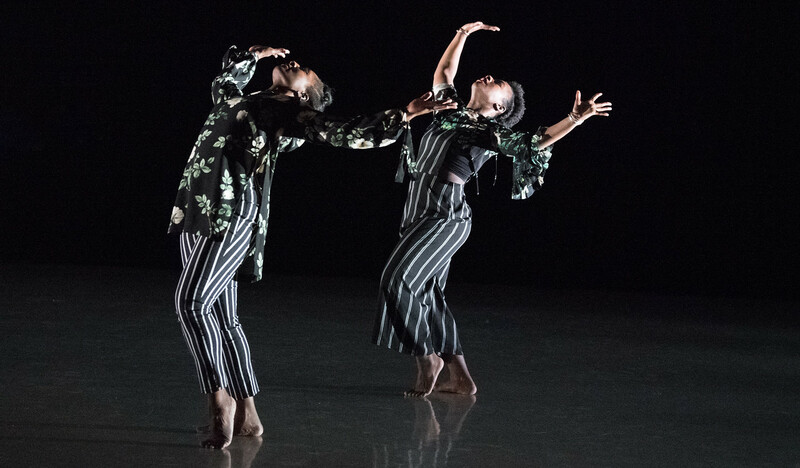 RIFF TALKS offers the local community a chance to get up close to internationally renowned contemporary artists as they perform, and then participate in a dynamic panel discussion focused on critical themes in dance. RIFF TALKS _07 brings together four nationally acclaimed artists:: the innovative NYC based artist Katy Pyle who is re imagining ballet culture through a queer feminist lense, Bessie Award winning performer, director and amateur farmer from Queens, Jonathan González, local, community engaged artist/scholar, Deborah Goffe (Hampshire College) and long time contributor to arts enrichment in the Pioneer Valley through his work directing PVB and as a scholar and artist, Thomas Vacanti (UMASS). Pyle, Gonzalez and Goffe will perform and then the panel will converse about TIPPING UTOPIAS- Yield to the real/ Understanding sustainability in the ARTS. RIFF TALKS is one of SCDT’s signature programs. The School’s mission includes an abiding respect for the transition and history of reinvention, and a resolution to continue challenging established ideals. 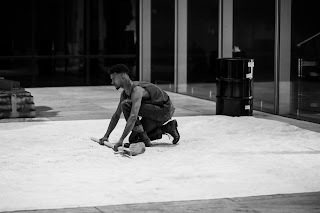 SCDT serves as a hub for performance art of the highest quality by connecting communities on an international scale. Jonathan González is Bessie-nominated performer and director, amateur farmer, and educator from Queens, NY. Their work investigates notions of blackness, economies of creative labor, and the geopolitical in regards to racial justice and the nonhuman. They are a 2018-19 Workspace Resident at LMCC with anticipated premieres of their work Lucifer Landing at MoMA PS1 and Abrons Arts Center. Thomas Vacanti (BS in Dance, Skidmore College ‘02. MFA in Dance, Smith College ’04) is Associate Professor and Director of the Dance Program at UMass Amherst. In 2012, Tom received one of UMass Amherst’s highest honors, The Distinguished Teaching Award. During his professional dancing career he toured extensively throughout the United States, Central America and Russia performing contemporary and classic repertory. He danced professionally with The Florida Ballet, Tampa Ballet, Colorado Ballet, Ballet Mississippi, Ballet Michigan and Ballet de Panama. He was one of ten dancers chosen nationally, by the prestigious Jacob’s Pillow, to represent the USA in their Soviet/ American Exchange Program. He worked with internationally renowned choreographers and teachers while performing extensively throughout Russia. Thomas is also Co- Artistic Director of the Pioneer Valley Ballet in Northampton, Massachusetts and his own touring repertory company Vacanti Ballets. Deborah Goffe is a performer, dance maker, dance educator, performance curator and intermittent video artist. She is founder of Scapegoat Garden, a Hartford-based collaborative dance theater company, which has served as a primary vehicle and creative community through which Deborah has explored the intersection of dance with other media. A graduate of the University of the Arts (BFA, Modern Dance) and California Institute of the Arts (MFA, Dance Performance and Choreography), Deborah earned a Professional Certificate from Wesleyan University's Institute for Curatorial Practice in Performance in 2013 where she explored curatorial practice as a way to nurture the health and vitality of local dance eco-systems. In 2012, the Connecticut Dance Alliance honored Deborah for Distinguished Achievement in Dance. In service to her work with Scapegoat Garden, Deborah has granted Artist Fellowships from the Connecticut Office of the Arts (2005, 2013), the Greater Hartford Arts Council (2007), and the Surdna Foundation (2008). In 2010, Deborah was invited to participate as New England Emerging Choreographer at the Bates Dance Festival in Lewiston, Maine. 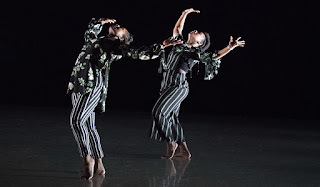 In that same year, she served as a yearlong Artist-in-Residence at Hartford’s Billings Forge Community Works.Deborah is thrilled to have joined the Five College Dance Department this past fall as assistant professor of modern/ contemporary dance at Hampshire College.